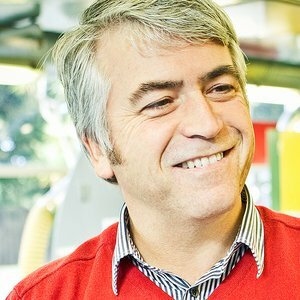 Professor Tony Parker is a leading New Zealand industrial designer and Associate Pro Vice Chancellor of Massey University’s College of Creative Arts. He works cross the areas of design for agriculture, security and automotive design. His primary focus is aesthetically driven affective product design, which includes product desirability, usability, experience and innovation for improved user satisfaction and brand communication. This approach is exemplified by multi-award winning, innovative, commercialised designs for leading manufacturer Gallagher Industries (NZ) and the experimental research-led design for the Hulme Supercar. A recent President of The New Zealand Designers Institute he received a prestigious Institute Black Pin Award for a lasting and valuable contribution to the New Zealand design profession in 2015. He continues to convene the Product section of The Institute’s annual Best Design Awards. As a teacher and supervisor his former students have gone on to make important personal professional contributions to the field of design in New Zealand and internationally in companies such as Apple, Philips, Nike, Formway and Fisher & Paykel. His academic community contributions include working on the Hong Kong Research Assessment Exercise (2014), New Zealand judge on the 2014 Australian International Good Design Awards, and his appointment to the New Zealand Government Sector Reference Group for the 2018 Quality Evaluation of the Performance Based Research Fund.